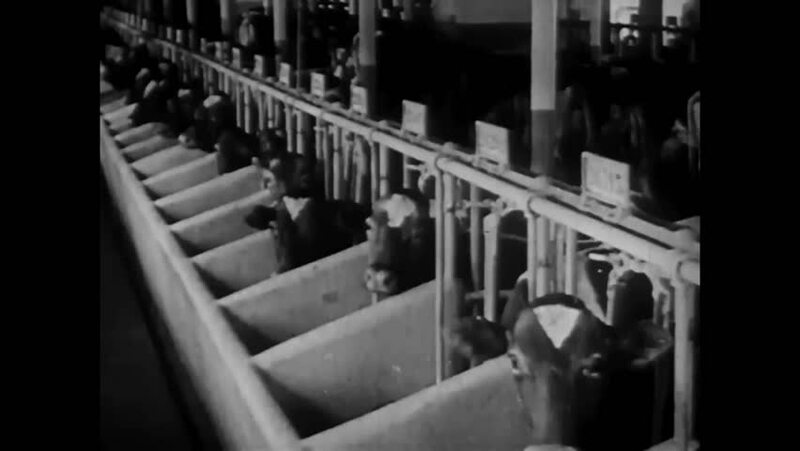 CIRCA 1920 - A veterinarian inspects dairy cows and their milk to make sure they reach public health standards. hd01:44CIRCA 1954 - The M48 tank goes into mass production. 4k00:27Wheels of the train moving along the rails. 4k00:16Machining center - tool store, detail.